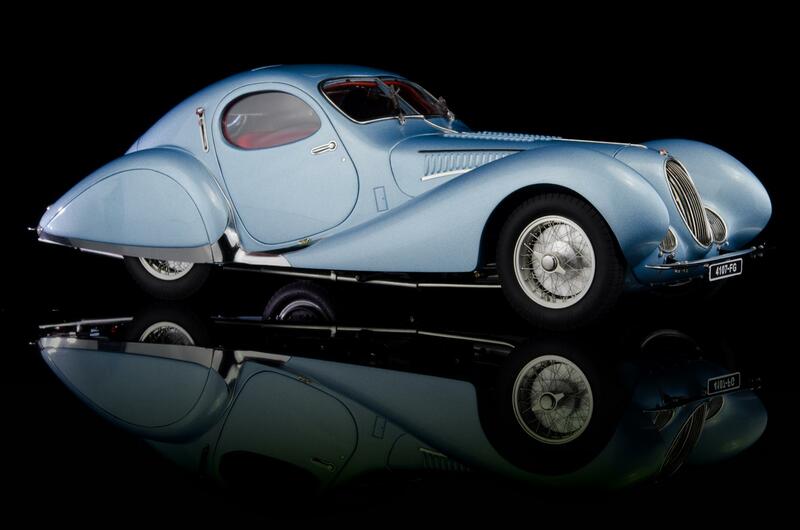 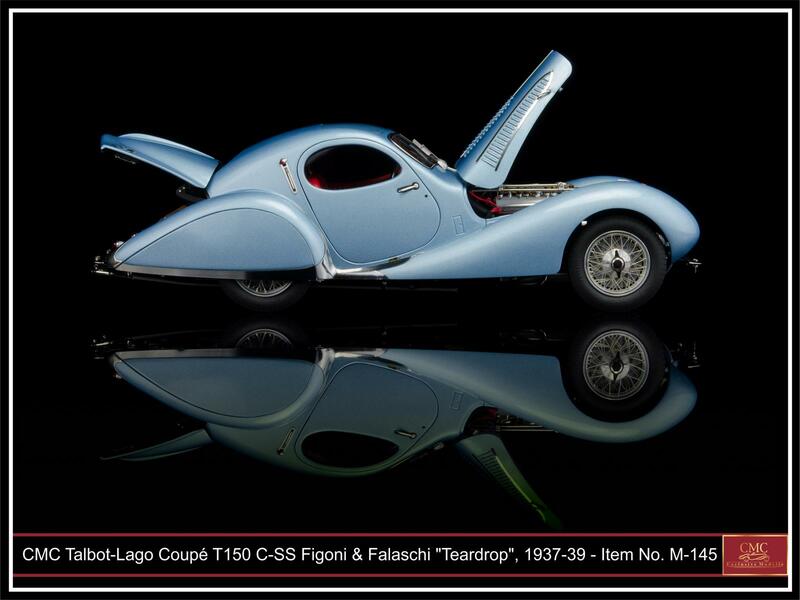 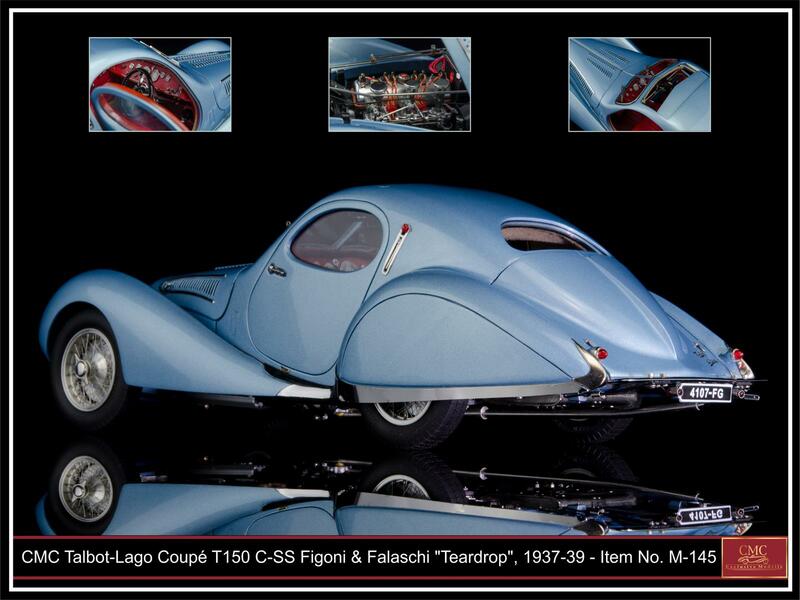 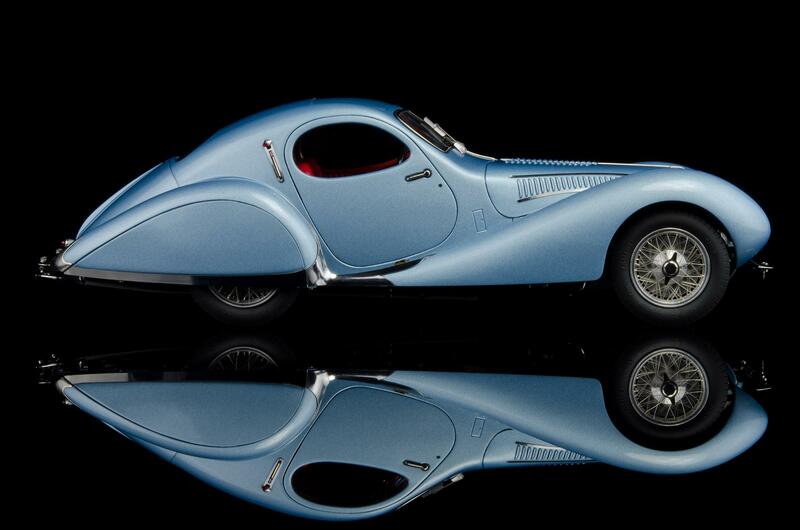 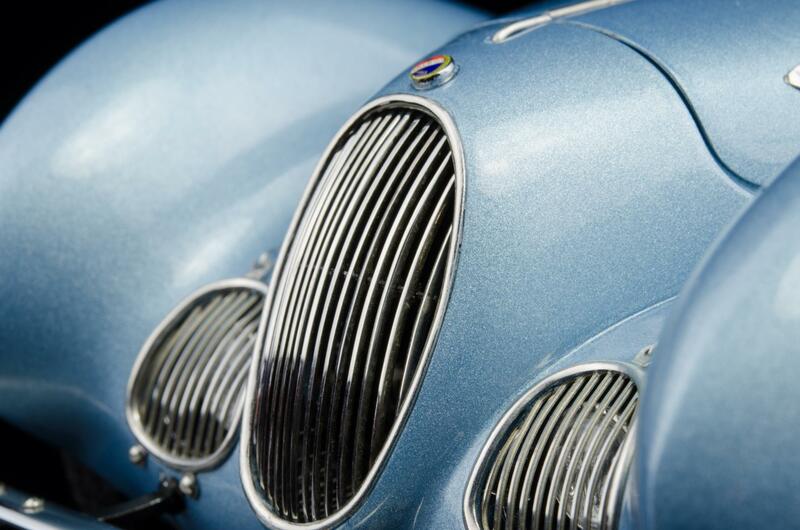 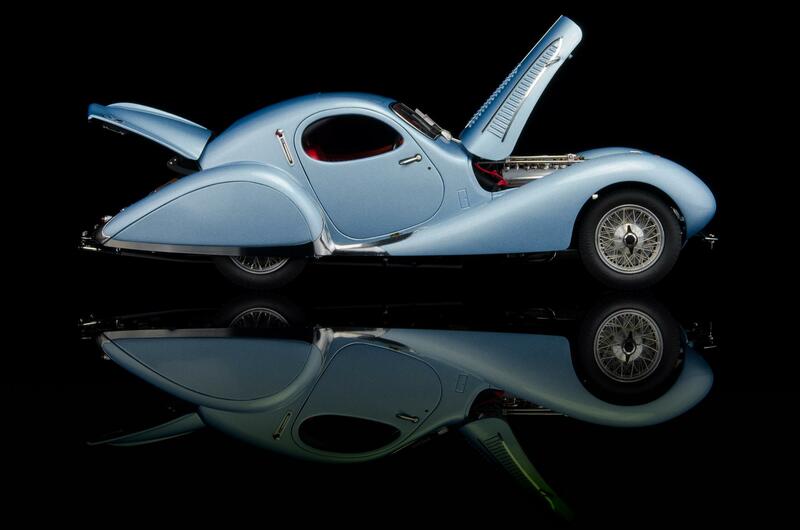 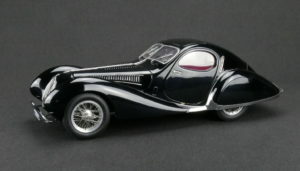 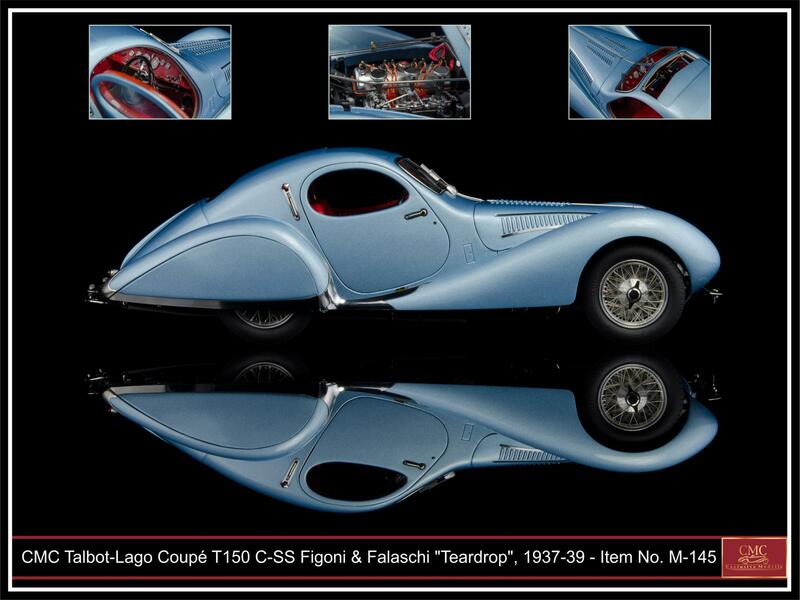 With a body customized by the famous coachbuilder Fioni & Falaschi, the Talbot-Lago boasted an appearance that was virtually exorbitant. 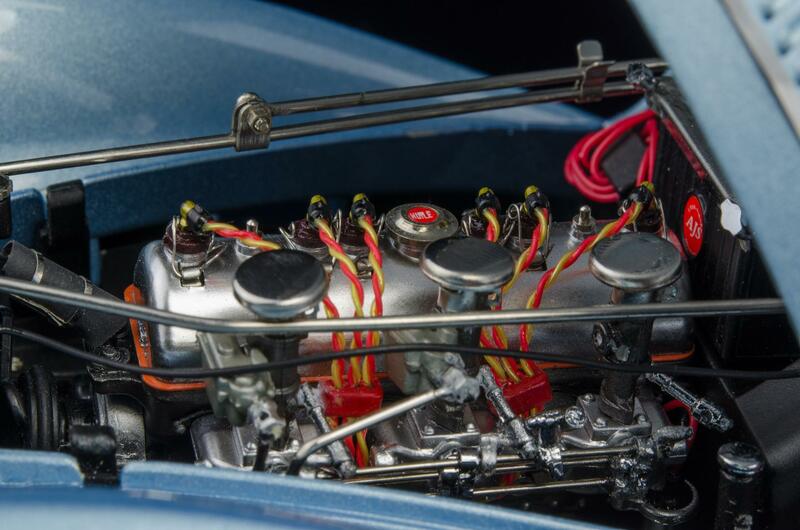 The car truly represented what we would call “a state of art” today. 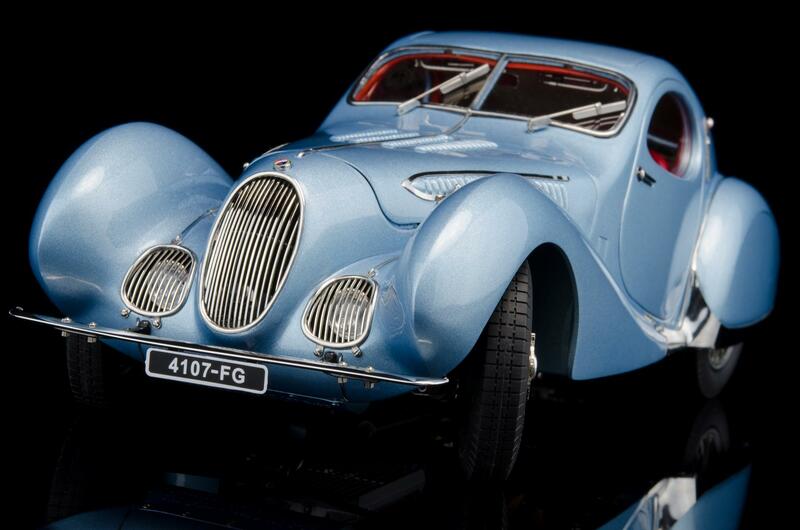 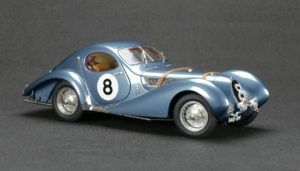 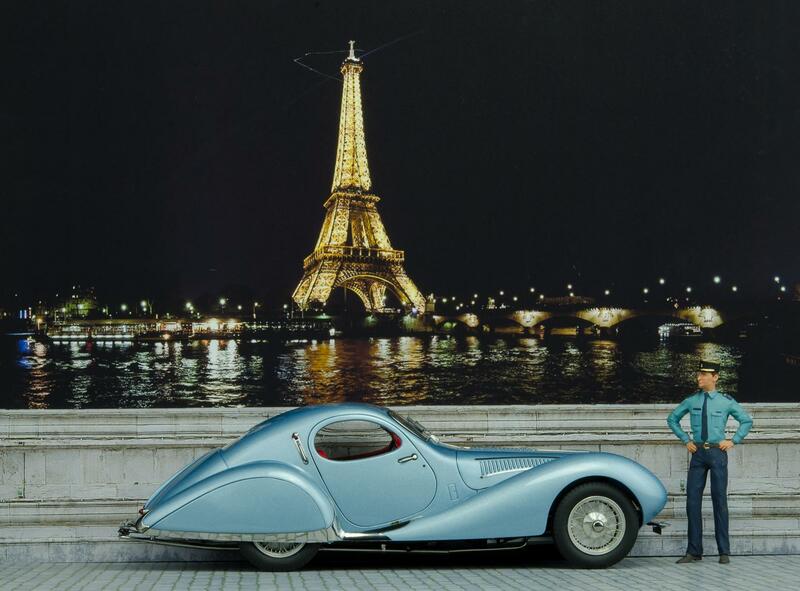 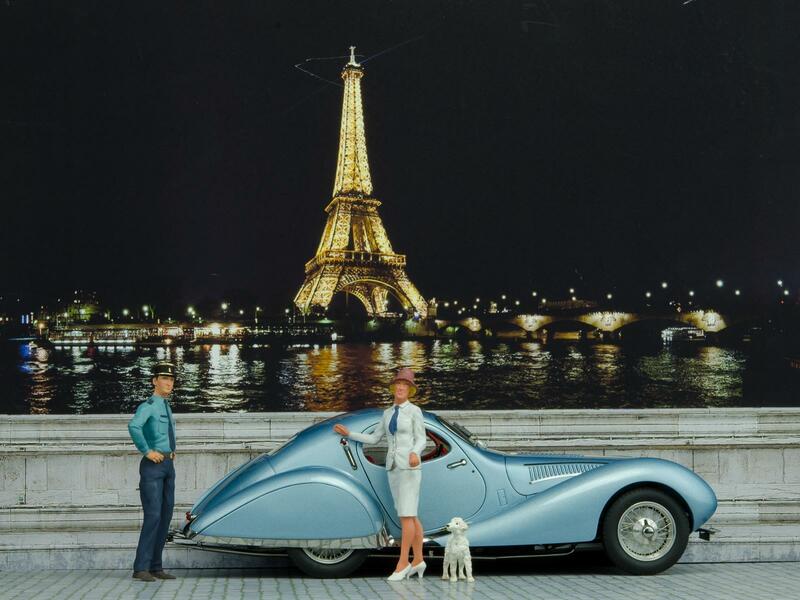 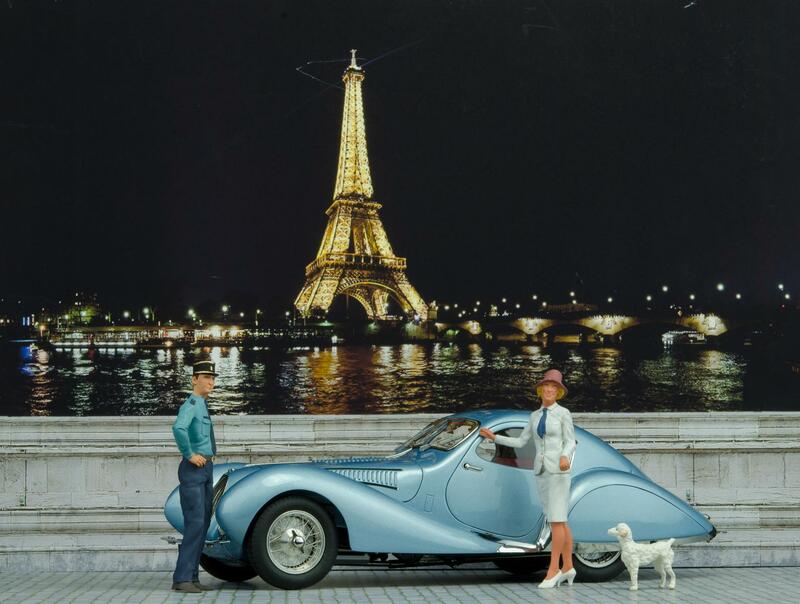 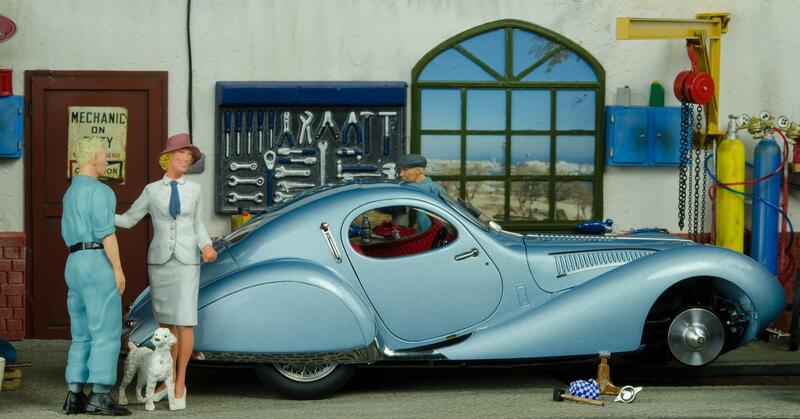 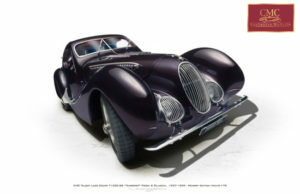 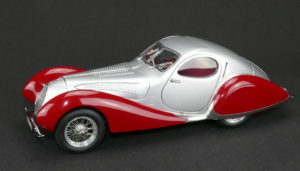 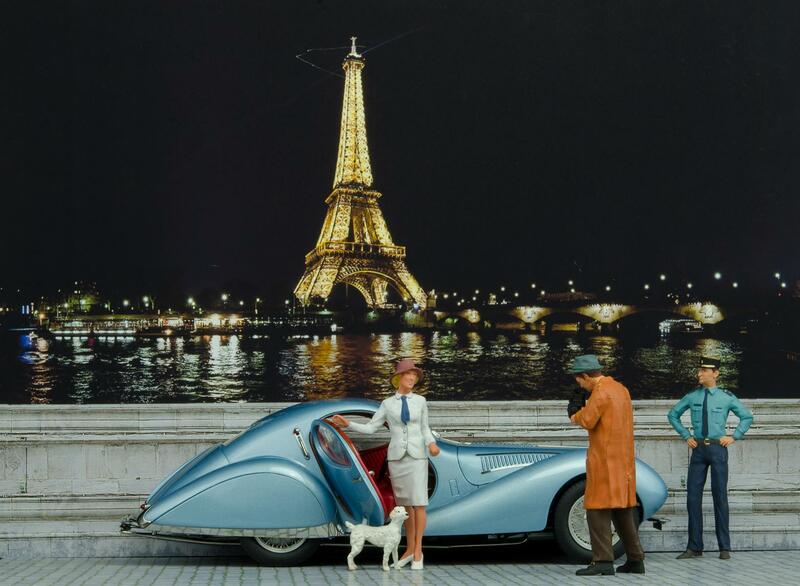 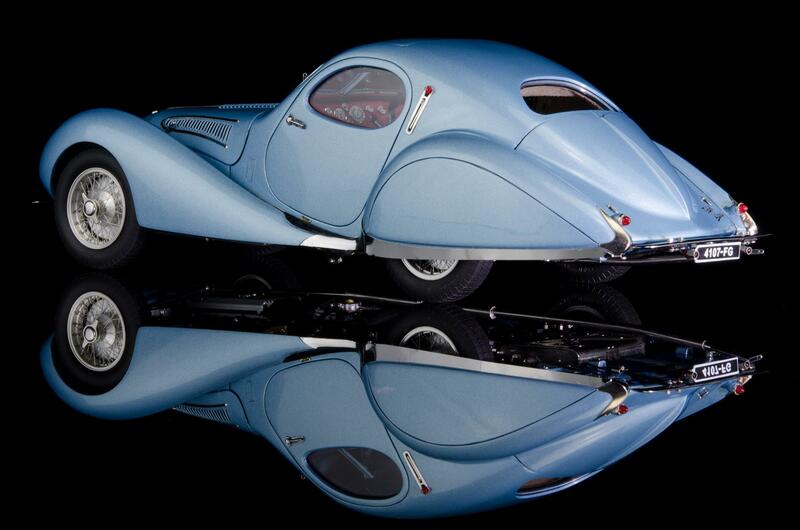 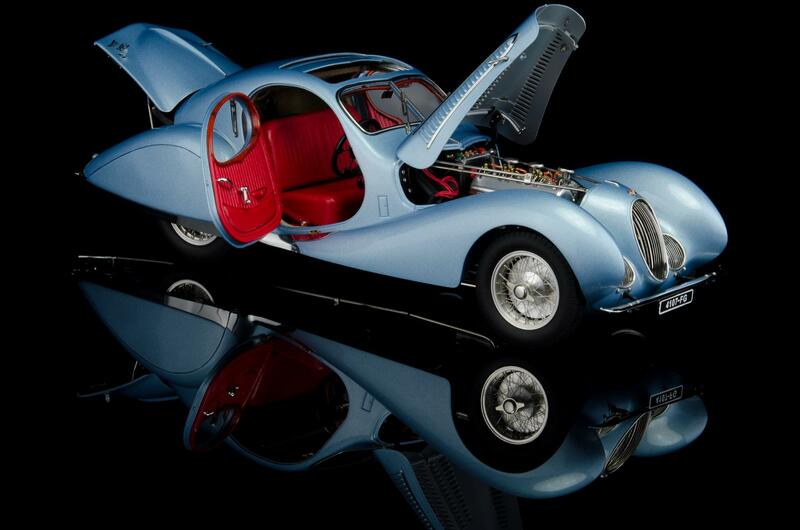 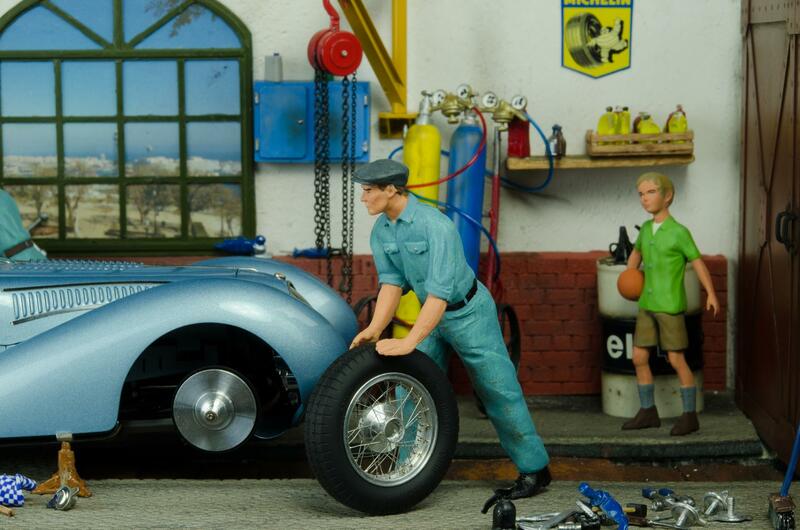 As Talbot debuted this coupe at the Paris Motor Show in 1937, spectators were almost taken by breathless excitement. 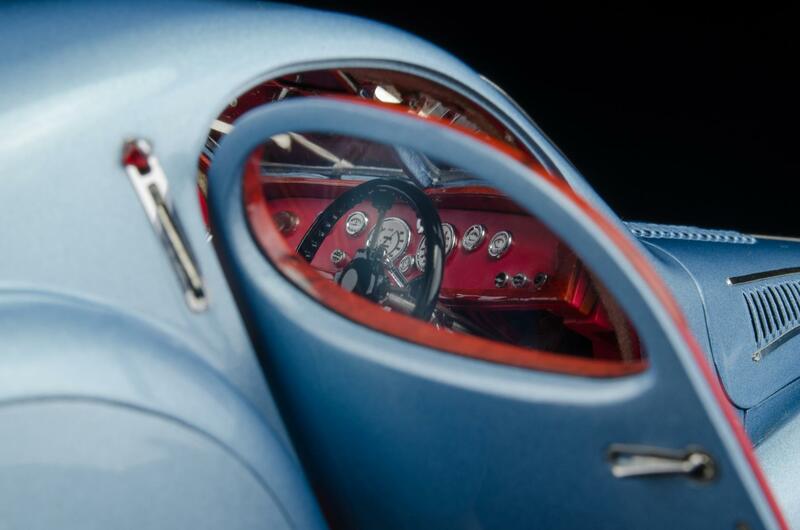 Soon, the epithets “goutte d’eau” (water droplets) and “teardrop coupe” were coined. 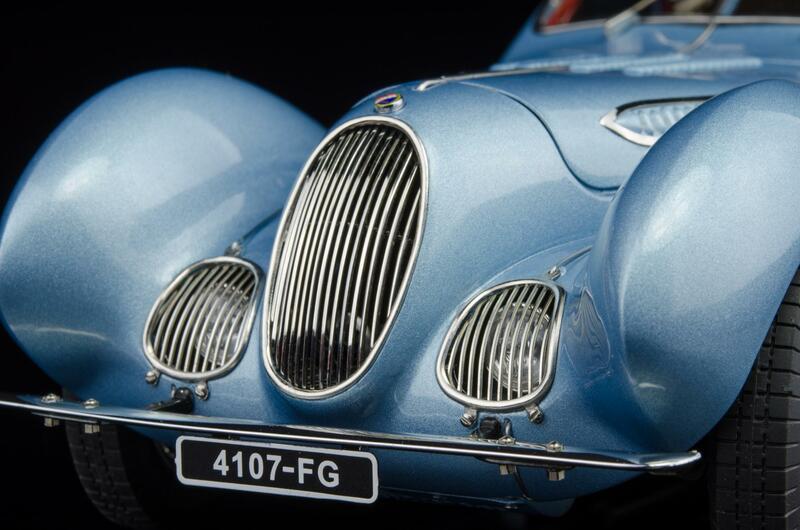 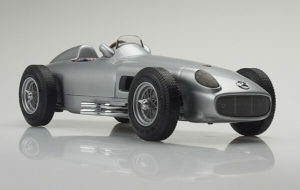 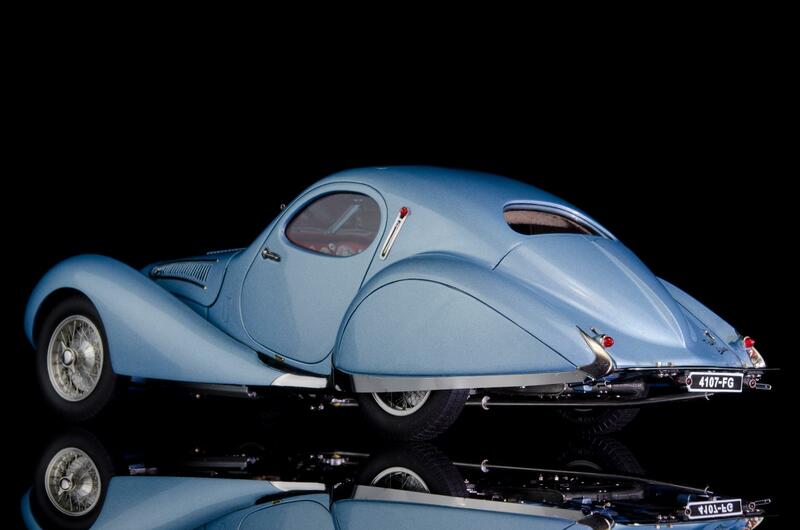 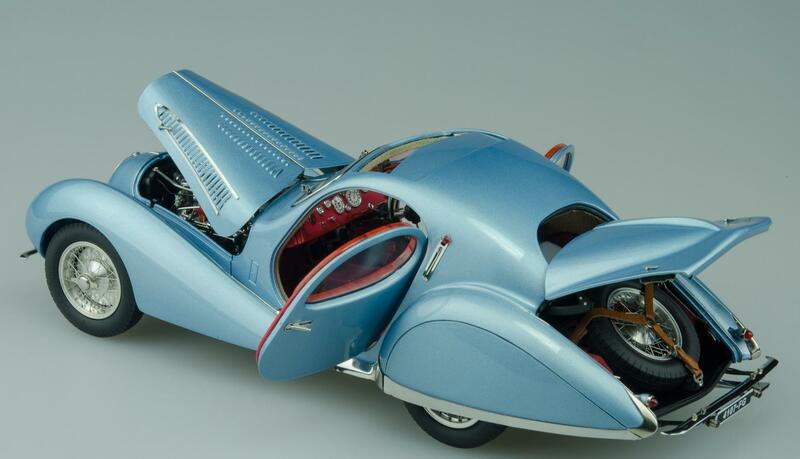 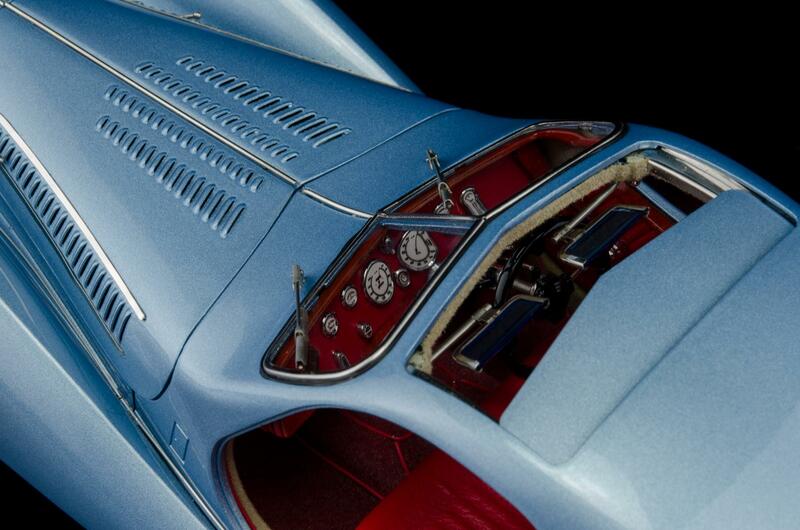 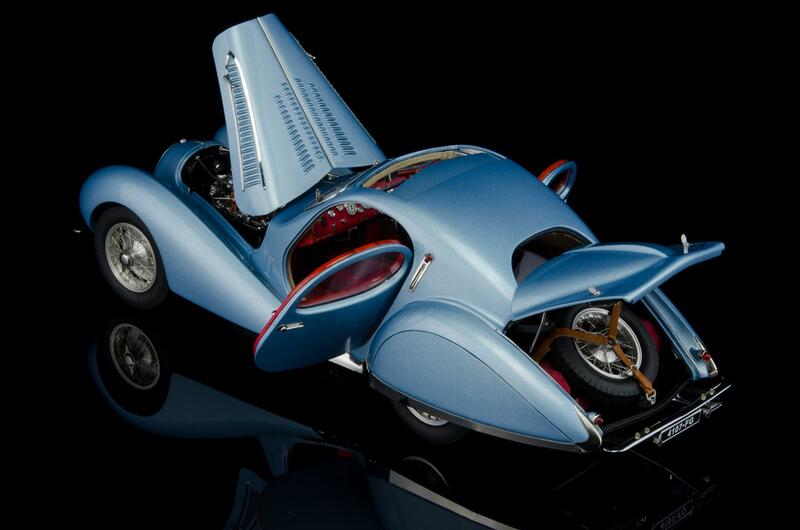 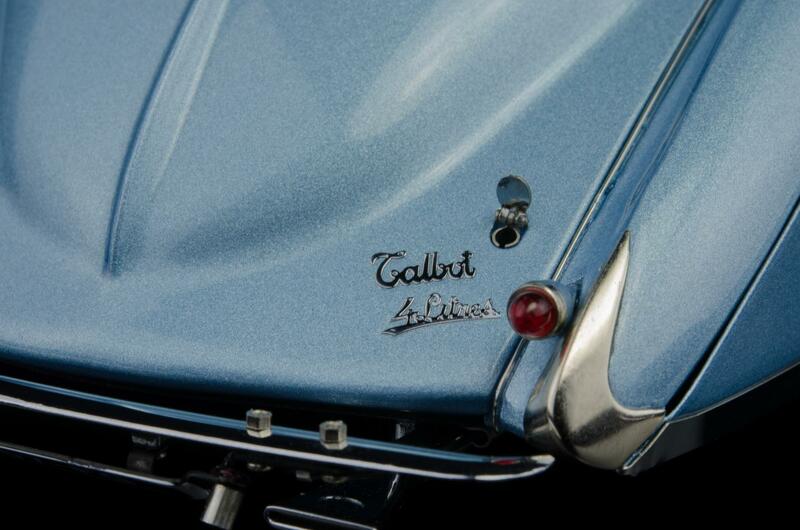 Both terms were never adopted in the official designation of the car, but they captured its unusual shape most aptly. 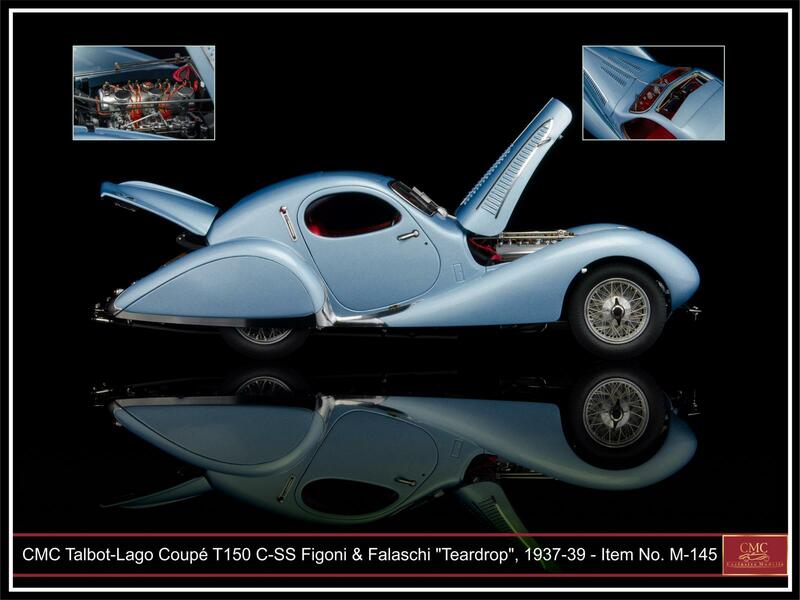 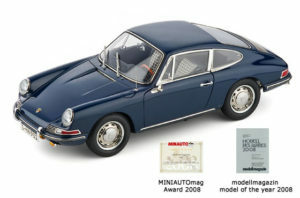 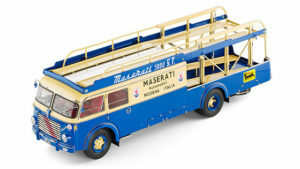 This fascinating vehicle, as well as its fine details, stand evidence of a profound love for automobile styling and matching of accessories. 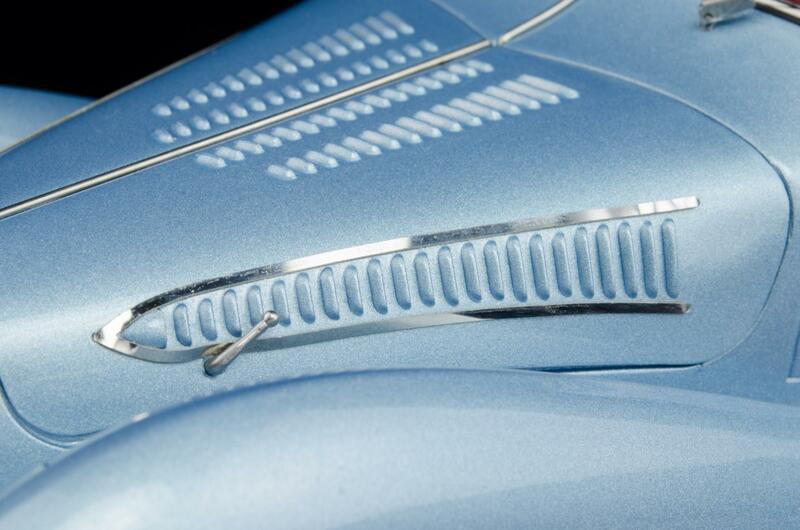 Integrated with functionality, each line or curve is elegant without appearing pushy. 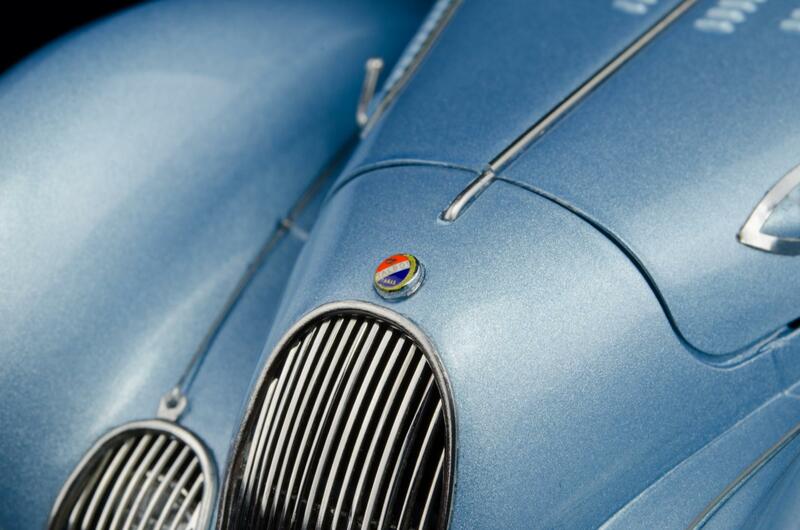 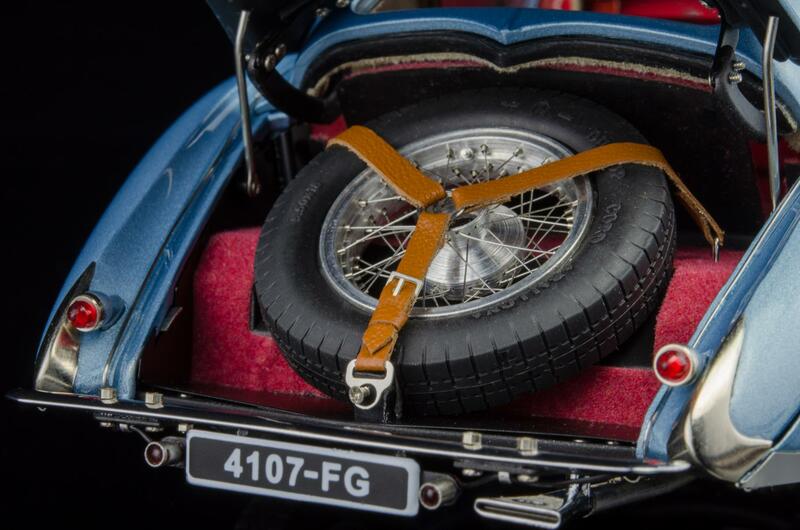 The car constitutes a harmonious whole – from the slender front fenders to the chromed exhaust pipe in the rear. 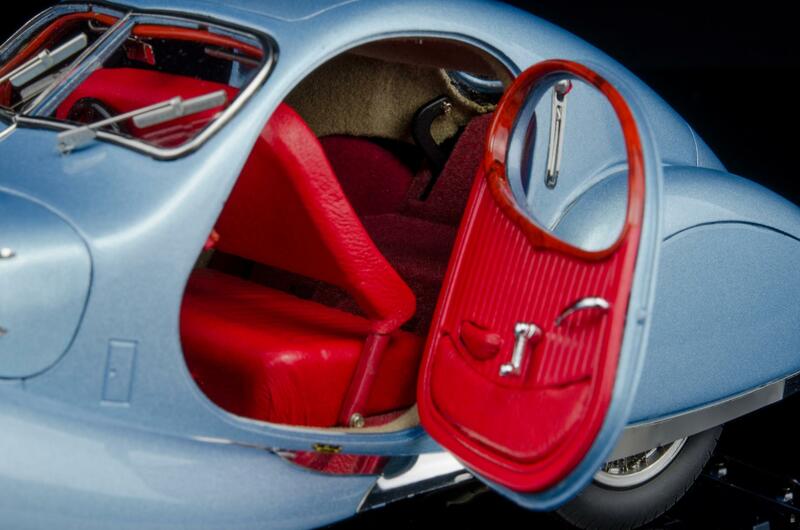 And the integration is complete with a luxurious interior, furnished with tastefully–processed fine wood and leather. 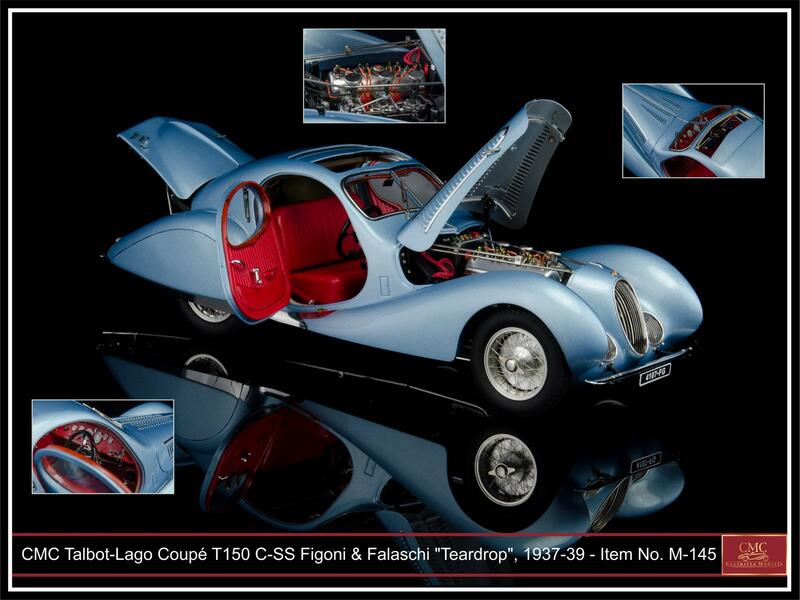 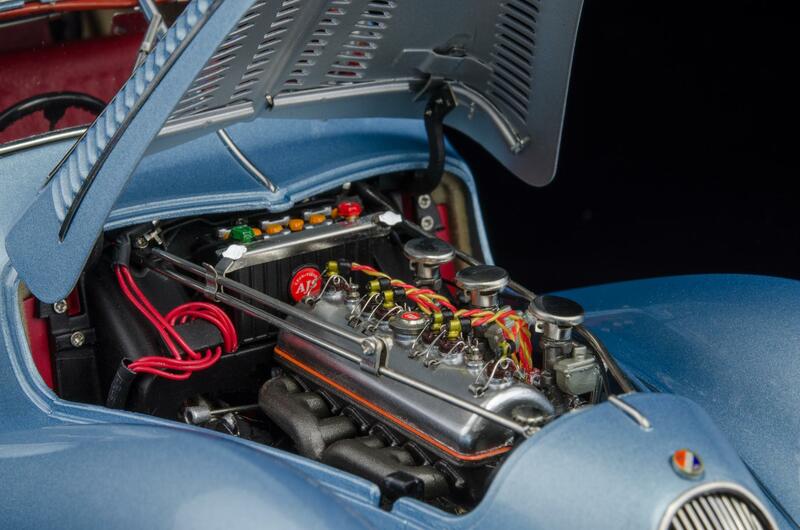 Under the bonnet of the coupe is a six-cylinder inline engine that generates an output of 140 – 160 hp, depending on the model type. 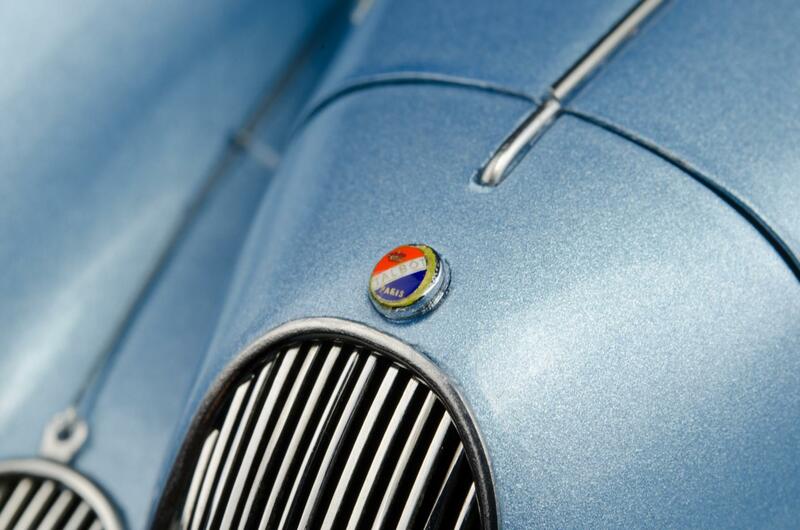 A powerful torque guarantees an energetic drive and good acceleration. 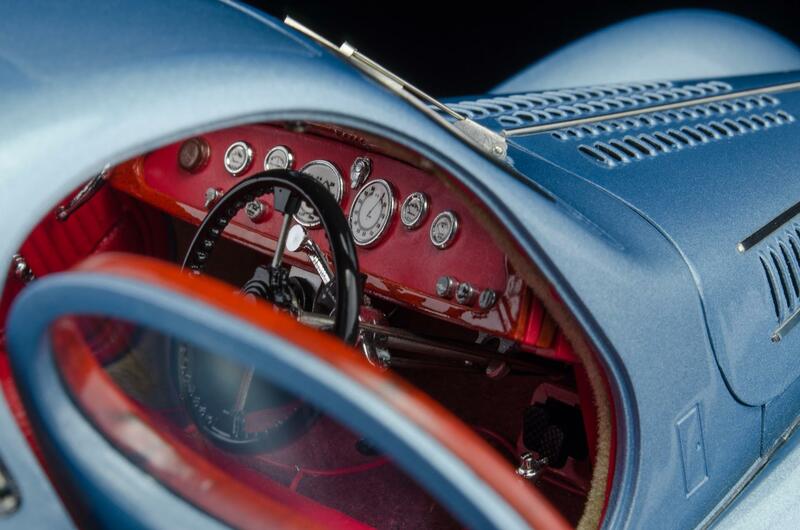 Less than 20 units were built between 1937-1939, and each differed in details that ranged from those barely perceptible to larger and flashier ones.